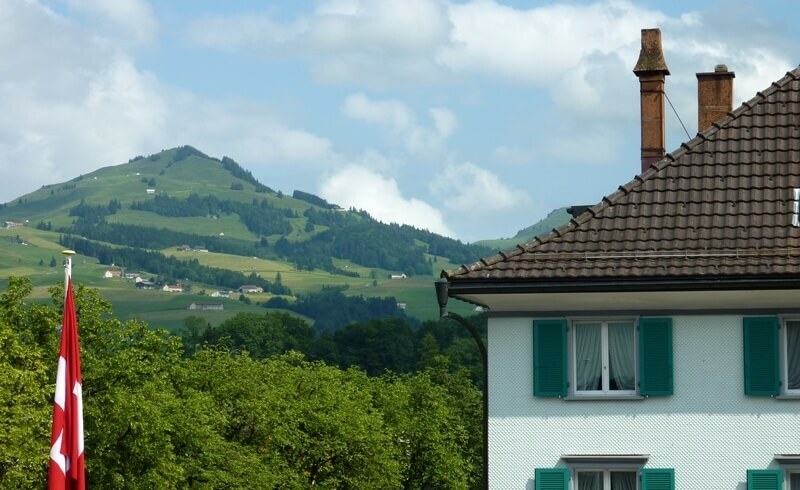 Join me on my quest to discover fun things to do within 1 hour of Zürich! After only a month of living in Zürich, I have already discovered some really interesting places to show off to my friends as a tour guide. Friends always want more, though, so I have decided to investigate new activities and places within an hour from Zürich. There are many fun things to do for short-time visitors as well as for those of us already established here and wanting to do something different during our days off. 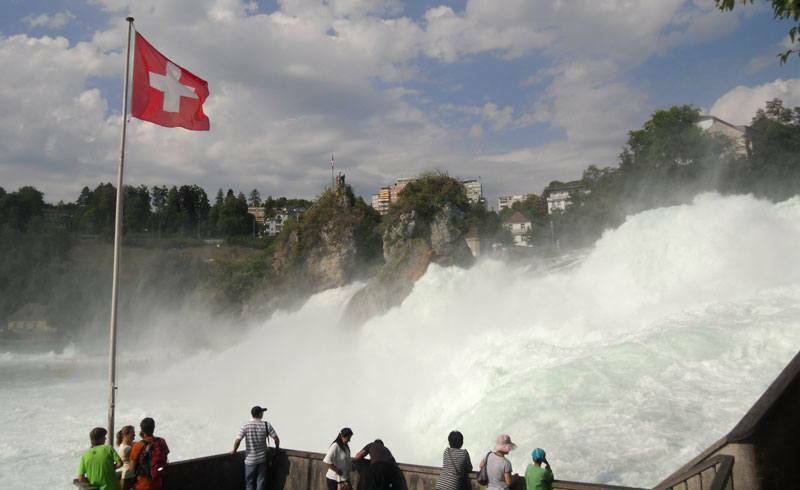 It took me all but a couple of minutes on the Zurich Tourism website to make up my mind: The highest waterfalls in Europe are less than an hour away from Zürich? We had to go there! 150 meters of width, 23 meters of height and 700 cubic meters of water per second were waiting for us! We took the car and got there pretty easily, but public transportation from Zürich is just as smooth! Given that the Rhine Falls were more touristic than expected, everything was signposted well and the facilities were top notch: Next to the free parking spaces, there was a ticket office featuring a big map of the entire area, a hiking-and-climbing themed playground for the kids (and not so kids), a souvenir store, and exquisitely clean restrooms. 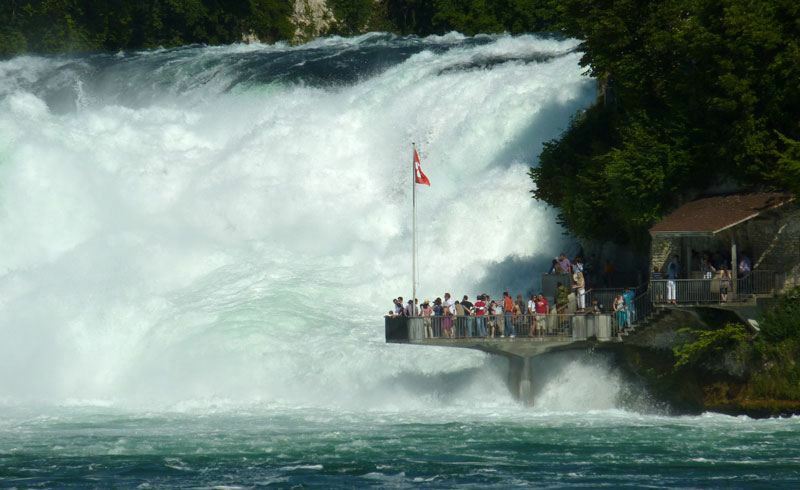 The Rhine Falls attraction has two entrances: The first one, through the Castle of Laufen, gives access to several terraces from where visitors can approach the waterfalls either by walking down or taking a glass elevator, enjoying the wonderful and really impressive panoramic view and getting close enough to get pretty wet! The second entrance, across the railway bridge on the Schaffhausen side, will guide the already amazed visitors right to the edge of the Rhine river! 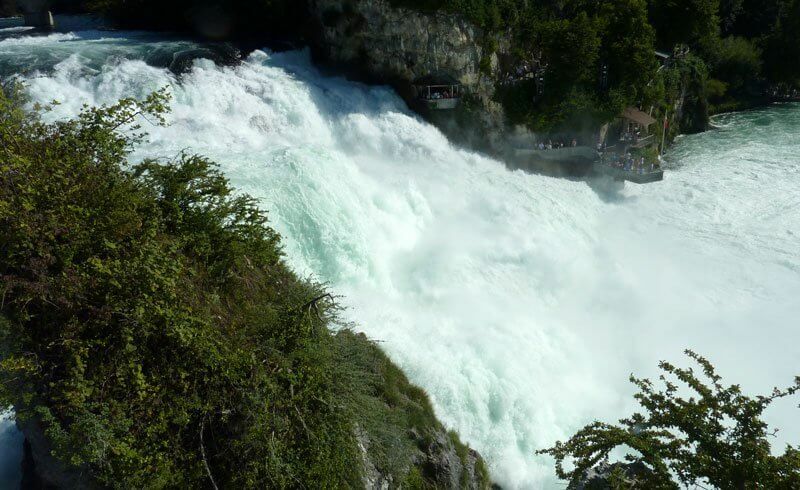 In case you have worked up a hunger, you will find some restaurants with outstanding views over the falls, which truly seem to challenge the strength of the river. We skipped the cute, red touristic train and arrived at the docks. 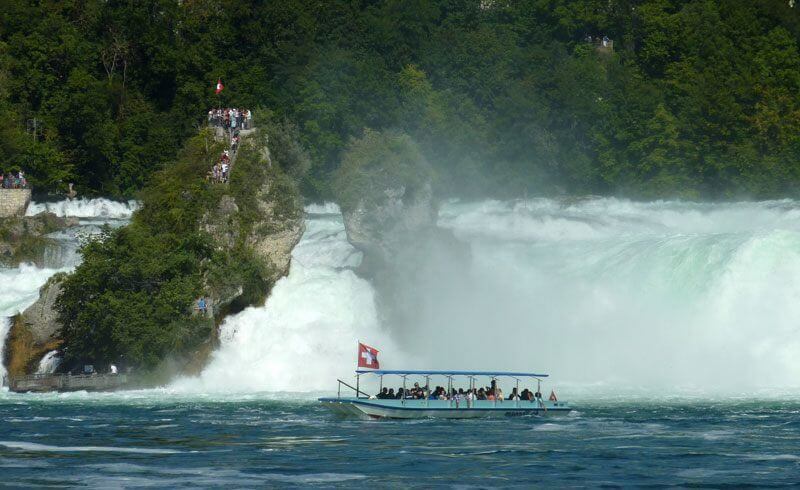 Here, we had to choose among the five boats that make shorter or longer tours to the falls. 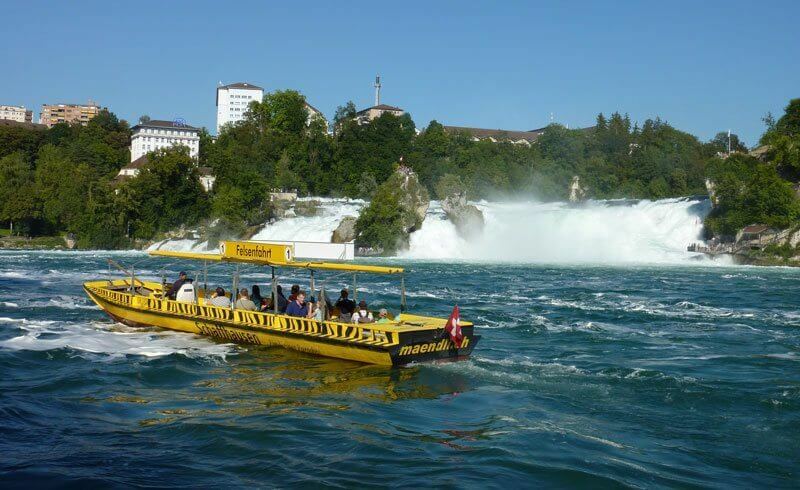 Some will seemingly float under the waterfalls or will even disembark the passengers at the bottom of the two rocks so they can go to the very top and find themselves, literally, in the middle of the Rhine Falls! Having done just that, we were so satisfied, impressed and tired that we decided to take yet another boat to cross the river, climb back to the entrance, and go back home. 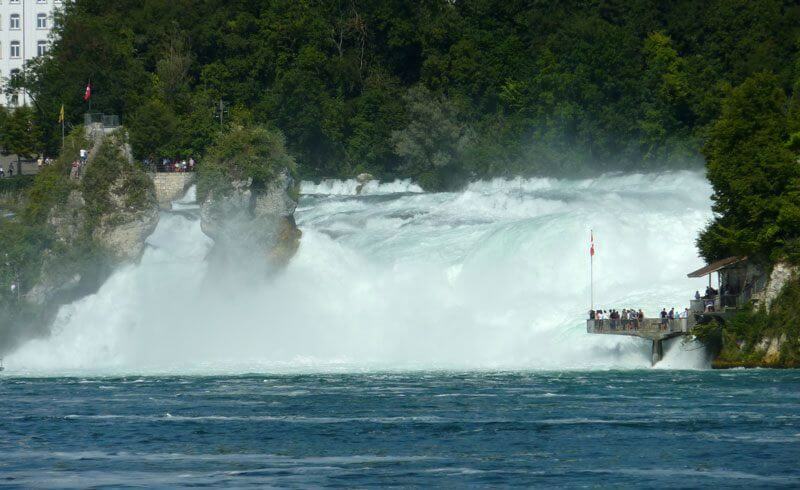 I highly encourage you to visit the Rhine Falls! And just a word of advice: Whether it is sunny or rainy, take a raincoat and an umbrella with you!